A man whose name is synonymous with GENIUS……. 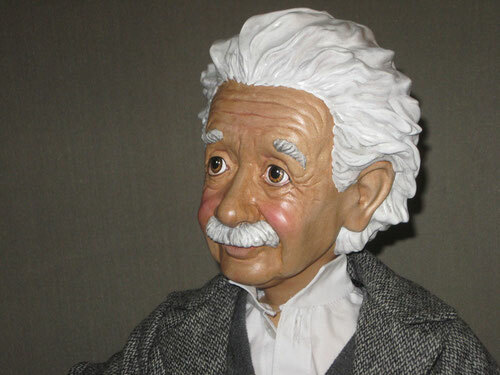 We have tried to capture the essence of Albert Einstein, the man who changed the universe. 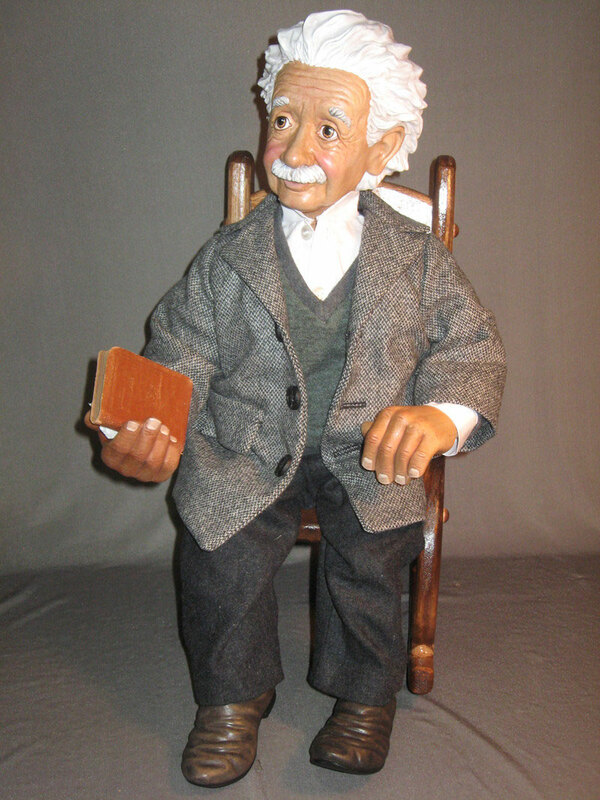 Standing 24” tall, carved from solid maple wood, with 13 moveable ball and spring joints and hand painted face and hair. You can imagine him sitting at his desk working out his theories and equations. Limited Edition: 25 pieces worldwide.